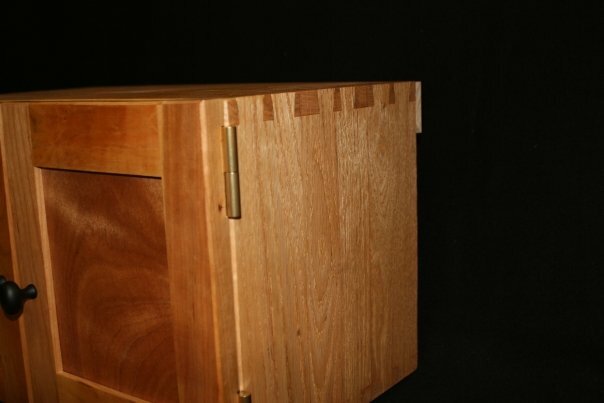 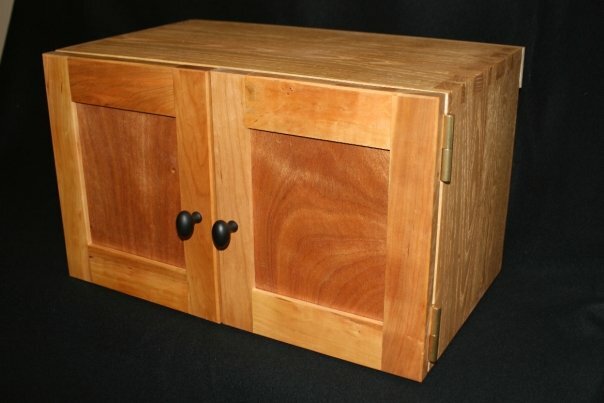 Dovetailed Oak box with Cherry doors finished with Tung Oil. 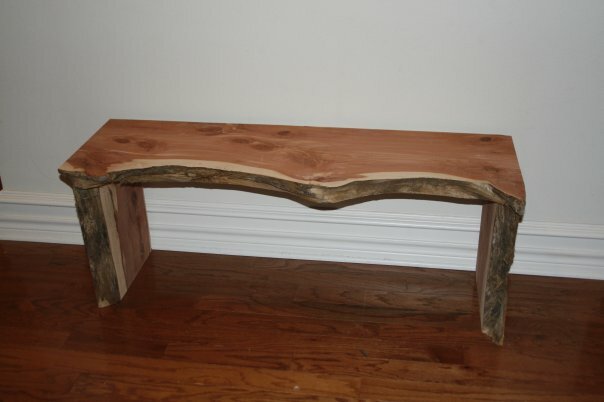 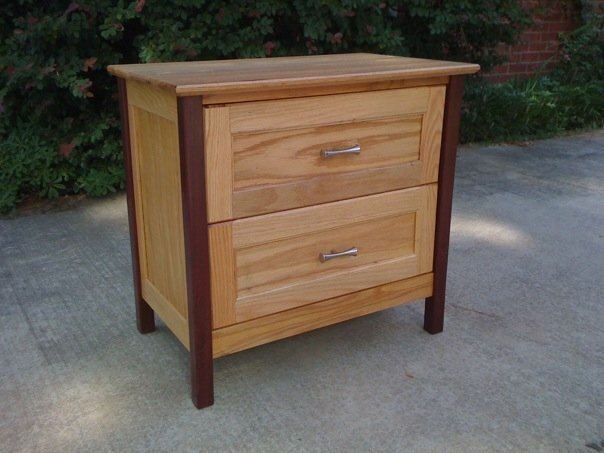 Red Oak dresser with Purple Heart legs. 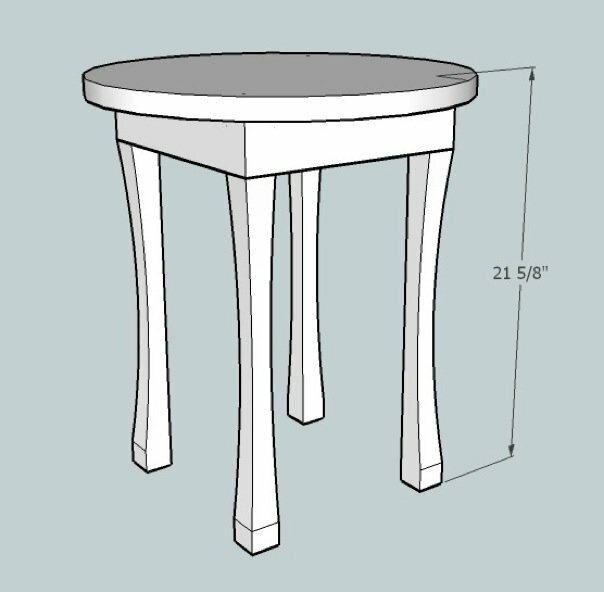 Quilted Maple table with Stainless Steel table insert. 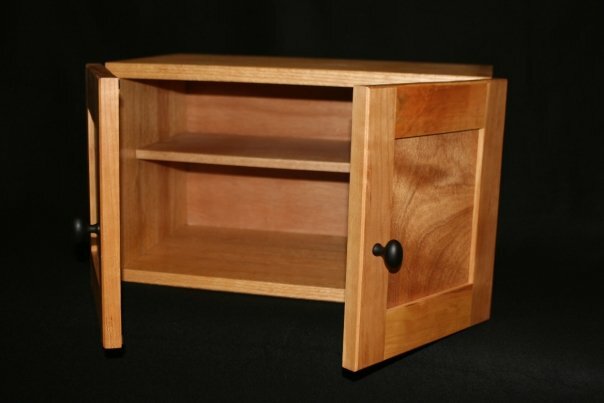 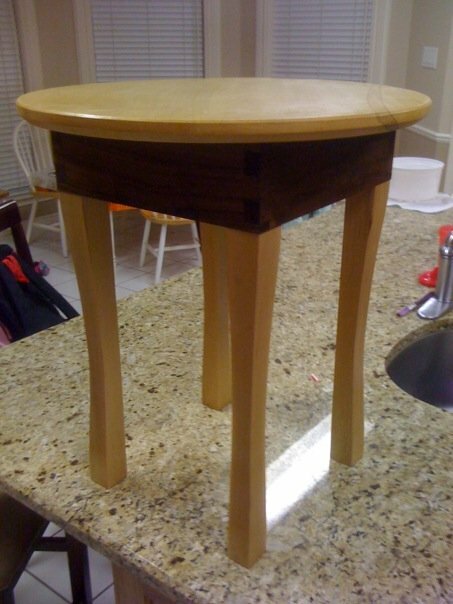 Small round side tables with dovetail aprons and shaped legs. 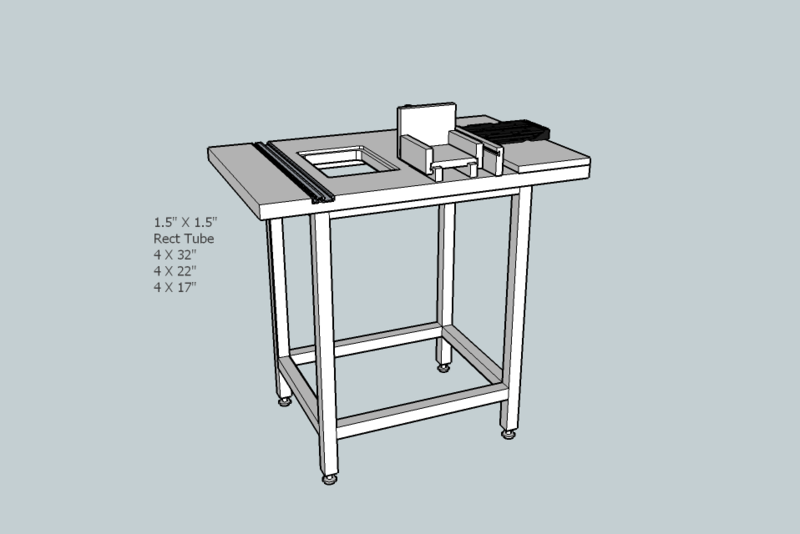 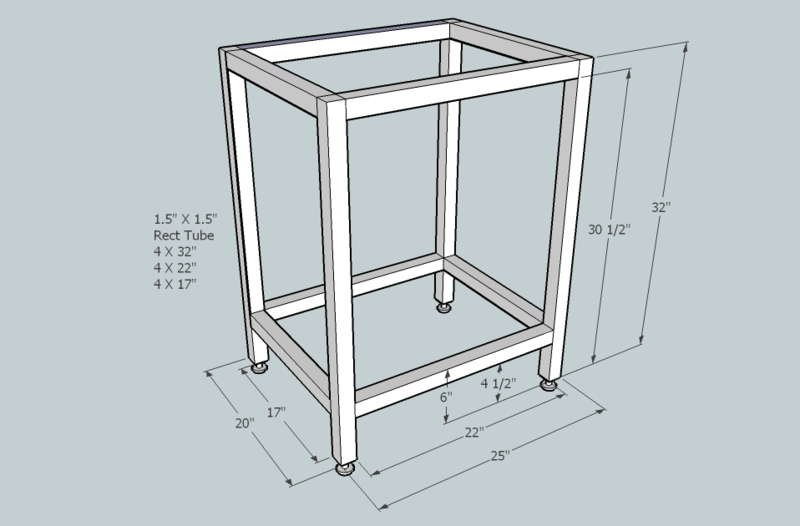 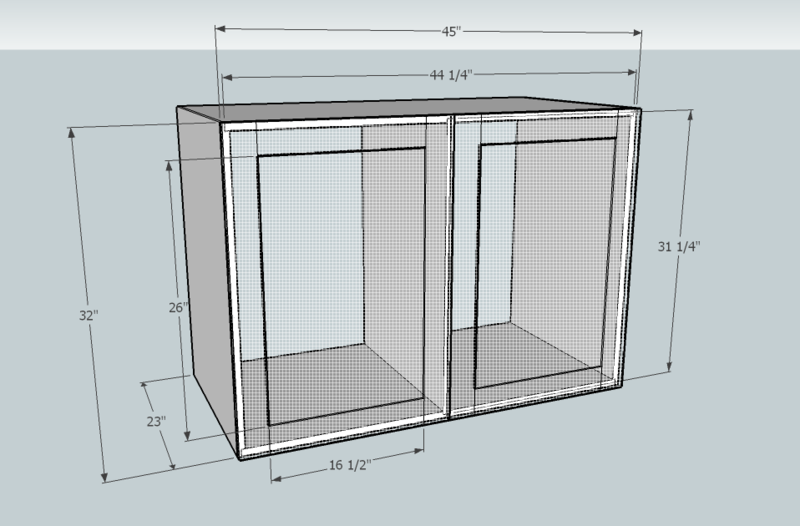 Design for cabinet that will be on wheels. 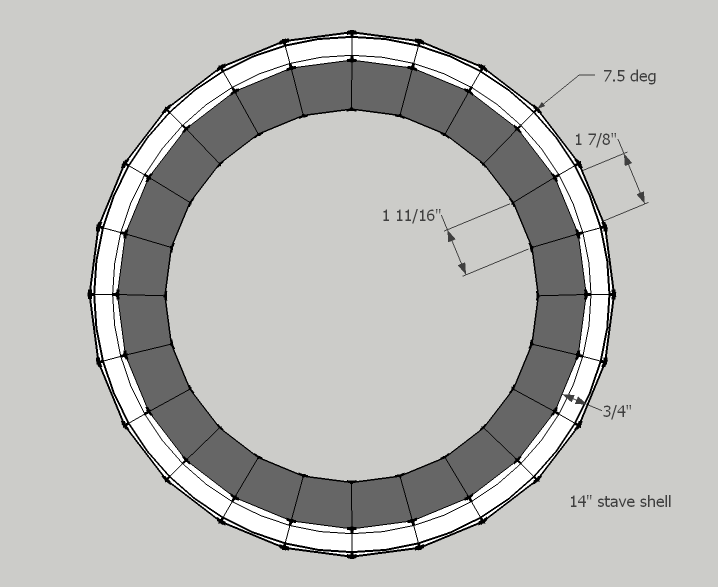 Pattern for making a 1/2 in walled 14 in stave drum from 3/4 in material. 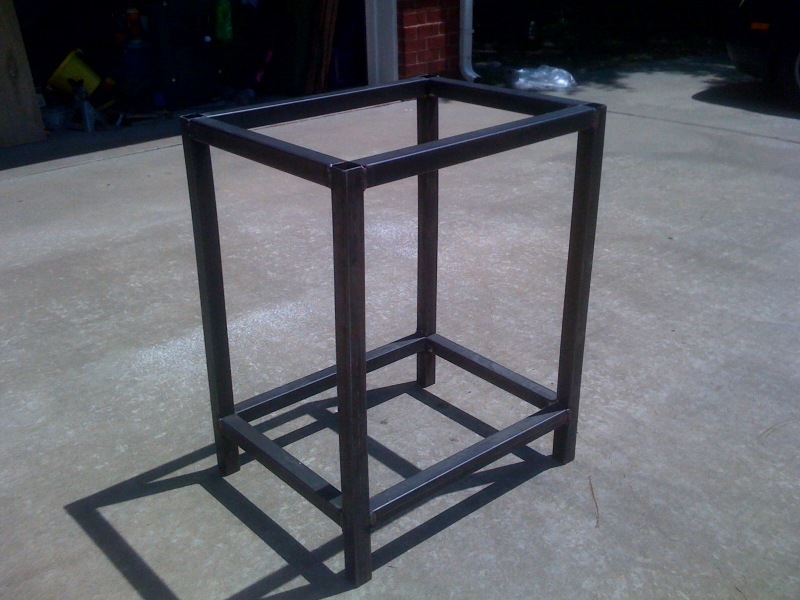 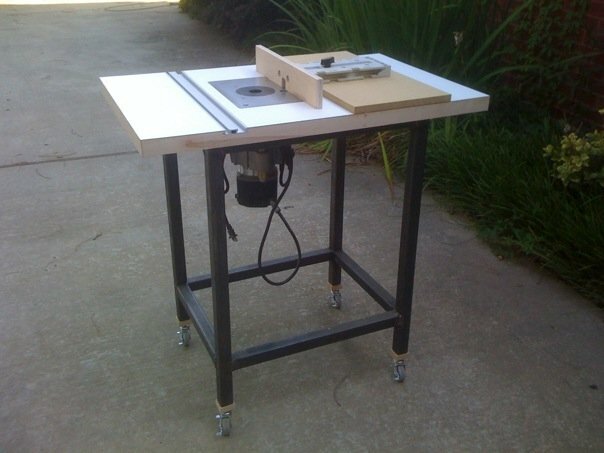 Router table stand made of 1.5 in steel tubing.